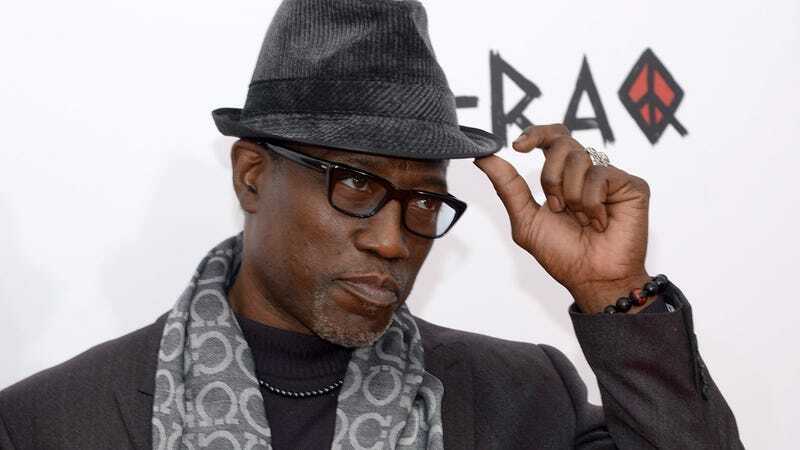 According to The Hollywood Reporter, the cast of Eddie Murphy’s biopic about comedian Rudy Ray Moore is getting even better (or “muscular,” as THR puts it), with Wesley Snipes, Mike Epps, Craig Robinson, Tituss Burgess, and Da’Vine Joy Randolph all joining the cast. The Hollywood Reporter story says that Snipes will be playing D’Urville Martin, the “arrogant actor and alcoholic” from Rosemary’s Baby and Guess Who’s Coming To Dinner who later directed Rudy Ray Moore in his underground cult hit Dolemite. THR doesn’t say who the others will be playing, but we do know that Murphy is starring as Moore. The film, Dolemite Is My Name!, will be directed by Hustle & Flow’s Craig Brewer, and it comes from a script by biopic experts Scott Alexander and Larry Karaszewski (Ed Wood, Man On The Moon, The People Vs. Larry Flynt). The movie will premiere on Netflix at some point in 2019.